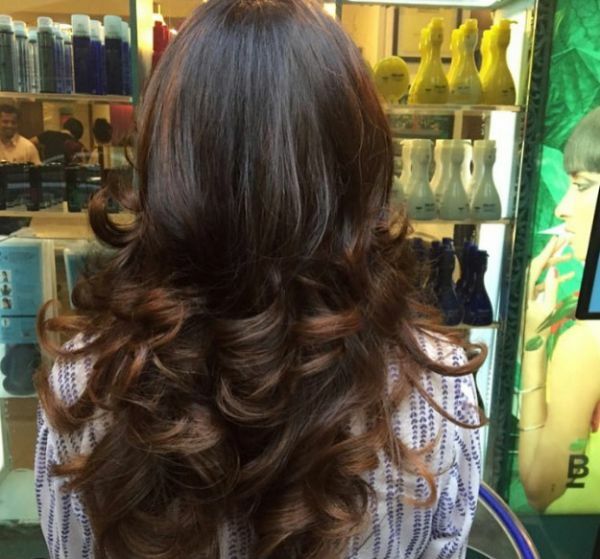 10 Pretty Hair Colour Ideas Every Girl Must Try - At Least Once! India’s always got a hot, hot summer, and it’s the perfect time to up your style quotient! While many of us chop off our locks in the most stylish ways to beat the heat and look fab, getting a fun hair colour is also great for your awesome summer mane game. 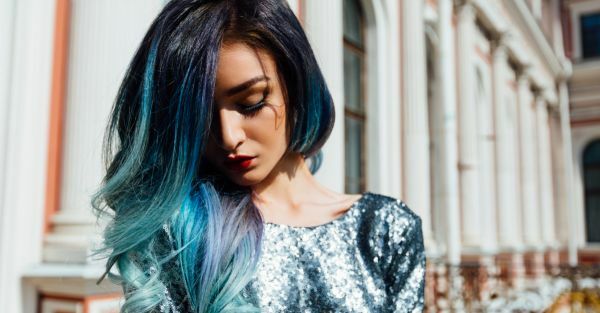 Here, we present to you, 10 amazing hair colours for women that we’re love in summer! Pick your fave and book that salon appointment right away. Try something brand new and different this summer! A light, caramel-ish blonde colour at the end of your hair strands is sure to look fab. The twist here is that the hair highlight is maintained all along the sides too. Leave the centre portion of your mane with just a few highlights of the same colour, and there you have yourself stylish, summer-ready hair! 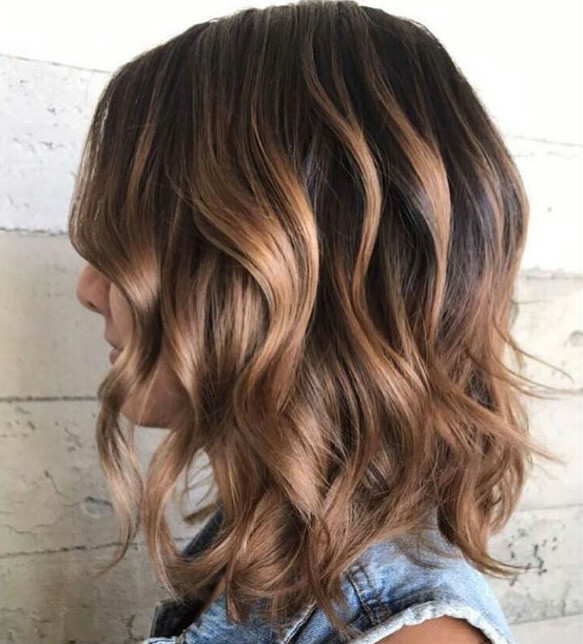 Some auburn hair highlights alternating with dark brown ones, this is for those stylistas who don’t want to experiment too much with hair colour. It gives a healthy look to the hair and is equal parts elegant and chic. Try it, won’t you? How dreamy does this hair colour look?! Mahogany is a hair colour idea so loved, that you’re going to want to get touch-ups every now and then, to maintain this look. 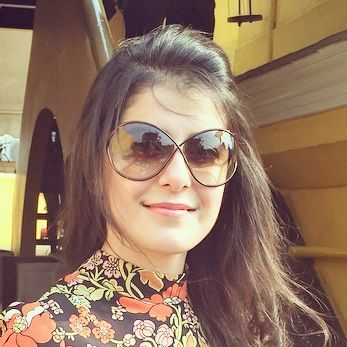 And the bright sunlight this season will enhance the look all the more every time you step out. 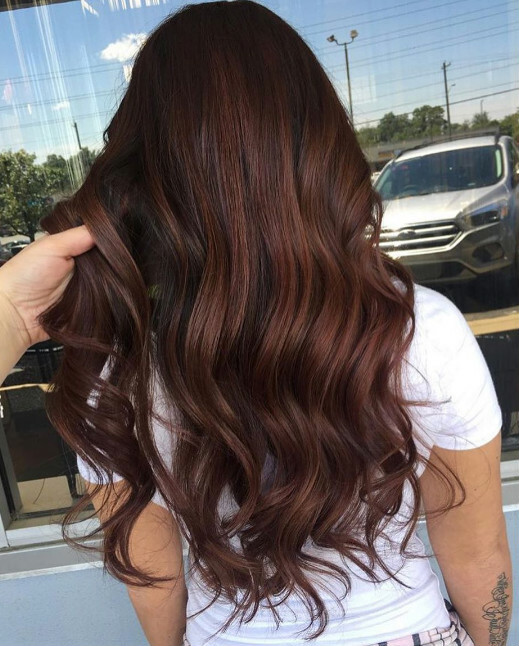 Dark brown is an easy choice, and one that always looks stunning. 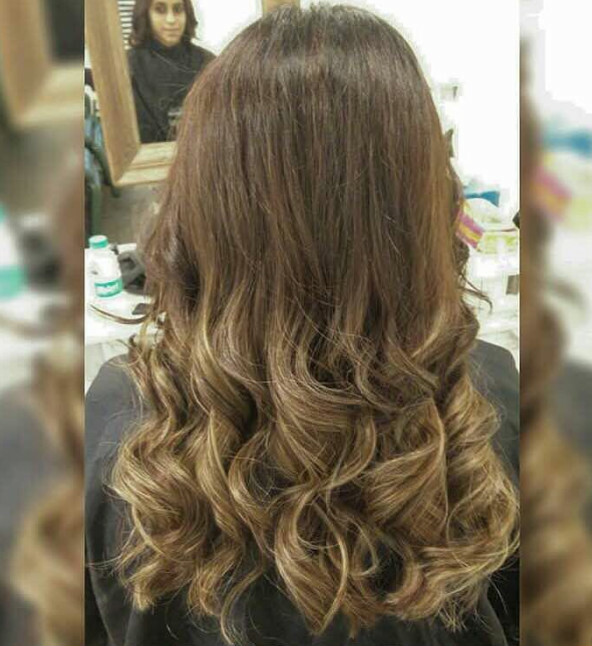 Be it hair highlights or global colour, chocolate is the way to go, girls. 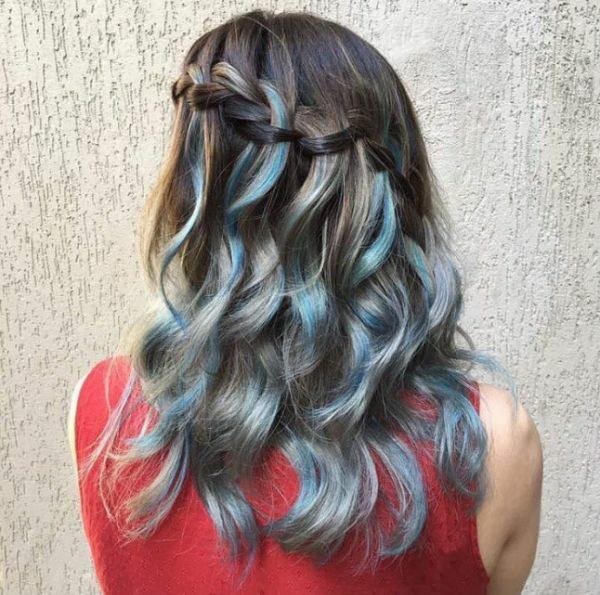 A striking silver hair look with subtle blue streaks - now that’s something that’s truly out of the ordinary. To feed the slightly more funky side of your persona, get this hair colour style and wow everyone! 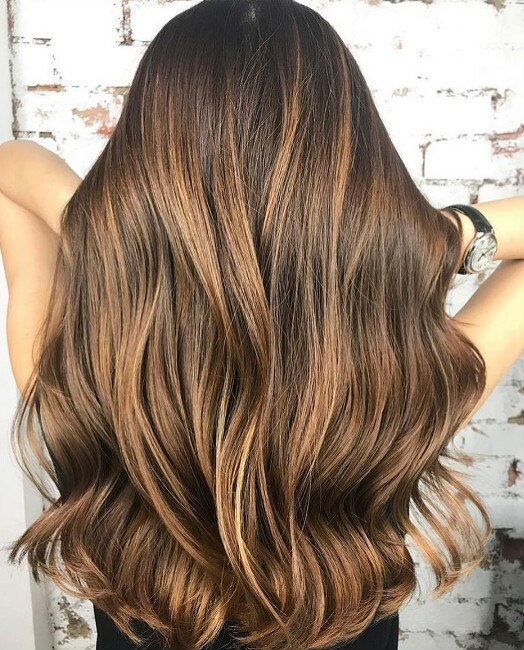 We’re totally in love with those caramel locks. While you can keep the front subtle and nice, the ombre effect involves a lighter colour at the ends, which looks lovely in the sun. Give it a shot, ladies. Brownish blonde is a super fun and chic look, don’t you think? If you’re planning to go for a bob this season, add some of these hair colour ideas to make it a winning look. This one is perhaps among the best hair colours and an absolute attention grabber. For a real mane makeover, opt for bold red highlights and you won’t be disappointed, we promise. This blonde but not too blonde hair colour for women is quite the rage this season, ladies. Take a cue from Nargis Fakhri and go for a softer blonde on top, and a more out there kind of blonde at the hair ends. Doesn’t this look so lovely?